Grey awareness ribbon beaded hanging decoration/car vent charm. 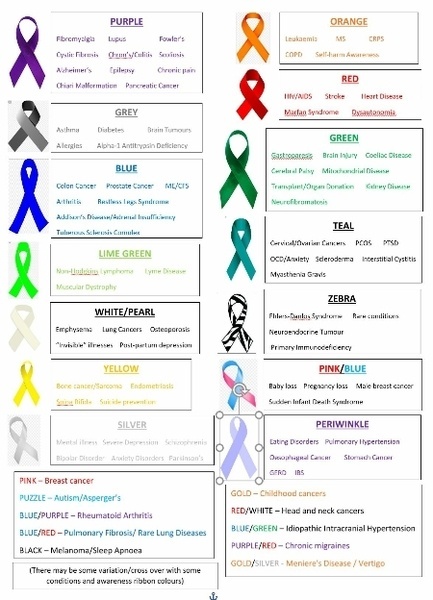 The grey ribbon symbolises a variety of conditions including: Asthma, Diabetes, Brain Tumours, Allergies and Alpha-1 Antitrypsin Deficiency. (There may be other condiitions also symbolised by the grey ribbon but these are the most common). Made using a wide variety of beautiful beads including 4x6mm and 6x8mm faceted crystal glass beads, 8mm clear AB wavy rhinestone spacer beads and a sparkly 10mm shamballa style bead. There is an 18×7.5mm silver tone ribbon charm with the word “HOPE” etched into it hanging on an eyepin within the centre of the hoop. The hoop measures approximately 5cm wide by 5.5cm high. The whole charm is hung using a pretty silver phone lariat cord which measures 5.5cm long and making the total drop length of the product as 11cm. This gorgeous sparkly hanging decoration is perfect as an awareness gift for any of the conditions symbolised by the grey ribbon (see list above or poster in gallery photos) and can be hung anywhere in the home or even from your car vent. (Not recomended to be hung from the car rear view mirror as it can cause a distraction whilst driving). This pretty hoop charm can also be hung on the christmas tree as either a remembrance/memorial charm or as an awareness decoration. Due to the nature of the beads there may be varitions in the colour mix/shades from the example pictures. This item is ready to post and should be packaged and posted within 3-5 days. If any variation is required then it may take up to a week to be packaged and posted. However if this item is required urgently then please send me a message via the “ask a question” option and i will endeavour to dispatch it as quickly as possible. I have many other “awareness” items available in my Craftie shop, please take a look!